4 inch are $0.69 ea. 6 inch are $1.69 ea. Replacement X mount for the Motrolfly 2203 motors. Replacement X mount for the Motrolfly 2210, 2215, and 2220 motors. This X mount is for the 2810, 2815,2820, and 2825 motors. This X mount is for 3615 standard mount and 3620, 3625 motors. 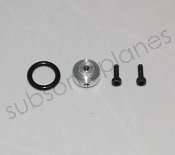 This is the special made hub to fit the 36xx motors and the stock 4 blade prop on the Starmax P-51 Mustang. 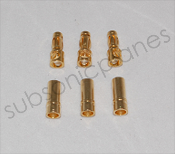 This charge is for having a motor rewound to a special Kv and includes domestic priority return shipping. Required signiture will be purchased on the postage. This is for special winds for existing motors that we do not hand wind when one wants a special wind that you have previously disscused with us.